Never leave home without it. (Your pet bunny, that is.) Our cute necklace lets you take your furry friend wherever you go. 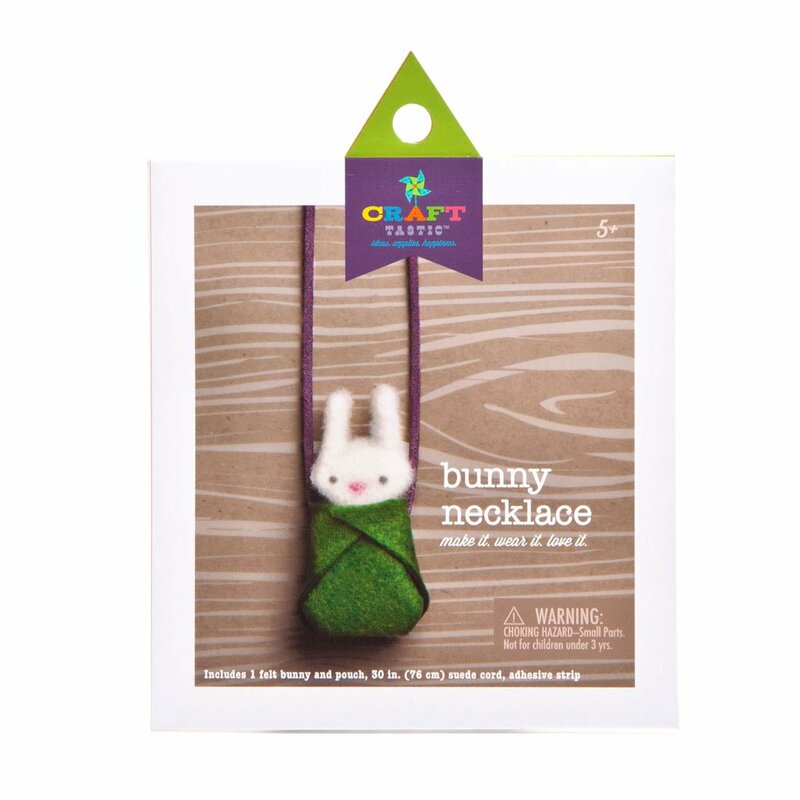 The bunny is pre-made, and it takes just minutes to assemble the pouch with our adhesive strips. Put it on the cord and you’re are good to go. Talk about the warm fuzzies! 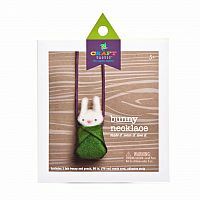 • Kit includes 1 felt bunny and pouch, 30" of suede cord and 2 pieces of adhesive. • It’s so cute, they’ll make it. Wear it. Love it.